Having the right safeguards in place will help you respond appropriately and keep sport safe and fun for children. The toolkit is designed to provide both an understanding of the importance of key safeguarding considerations and practical resources that organisations can promote or adapt. 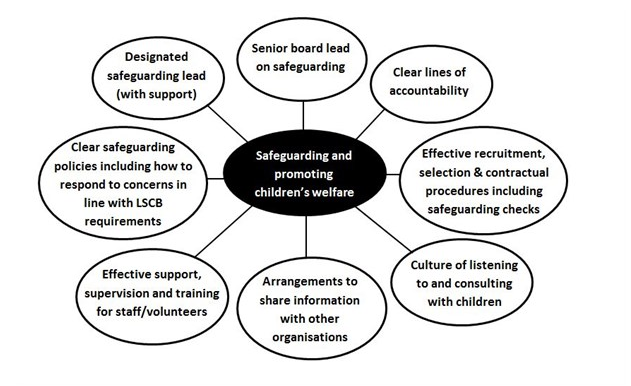 Working Together to Safeguard Children (HM Government, 2015; PDF) states that safeguarding is everyone's responsibility. Working Together outlines the duties of all organisations that work with children. The information and templates include all the areas that should be included in a safeguarding policy – and the procedures to implement it – to create a safe environment for children and young people taking part in sport. This video for parents looks at how they can prepare and support their child to achieve to the best of their ability.